Best products. Best Prices. Buy Direct! 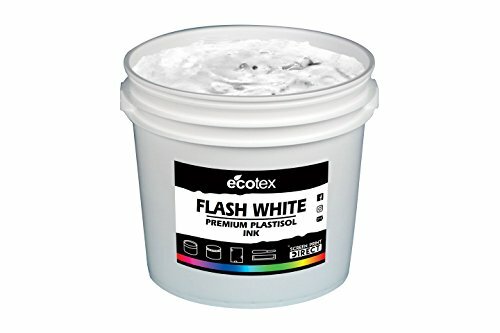 Ecotex Flash White Ink is the ultimate plastisol ink. Our premium inks are superior to other plastisol inks on the market. They are formulated to be bold, vibrant and creamy. Ecotex ink is highly opaque and allows printers to get color quicker on the press, helping you save time and money! For the best performance and color design on your next project choose Ecotex. *FREE SHIPPING over $40.00 USD In the Continental USA, Other Locations Prices Will Vary. BOLD, CREAMY & VIBRANT FORMULA l High Opacity - Develop Color Quicker on the Press. If you have any questions about this product by Screen Print Direct, contact us by completing and submitting the form below. If you are looking for a specif part number, please include it with your message.